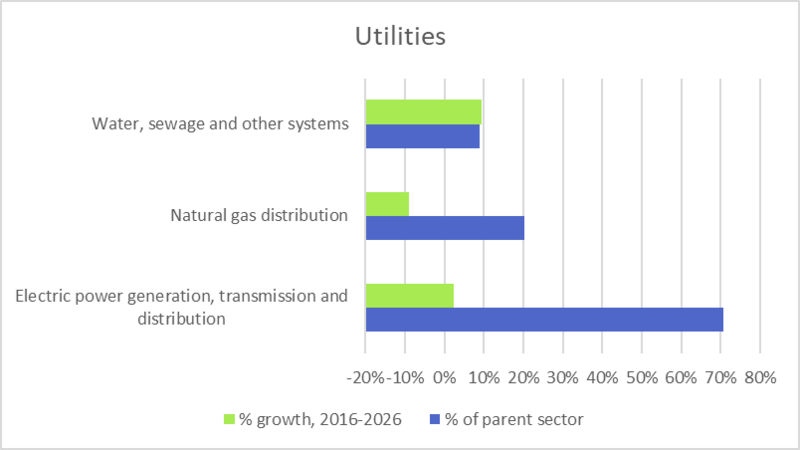 The Water, Sewage and Other Systems subsector is part of the Utilities sector. Drinking and wastewater operation and treatment facilities are part of the utilities sector (NAICS 22). Industries in this sector include water treatment plants, water supply systems, sewer systems, and/or sewage treatment facilities that collect, treat, and dispose of waste.